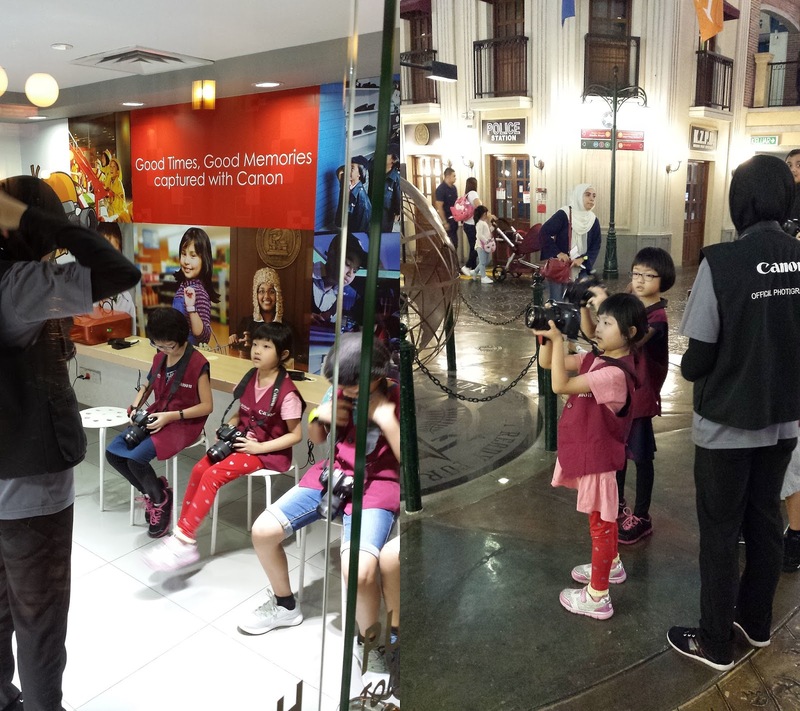 My kids are so happy when I tell them we are going to Kidzania again!. 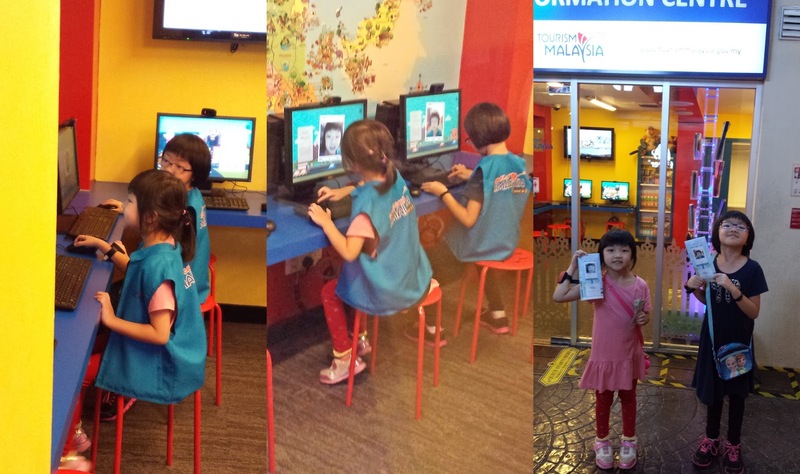 They can play whole day there exploring so many activities and get their real-life occupations hands-on in a fun learning environment. Mummy is excited as well looking at them growing and learning new experience. 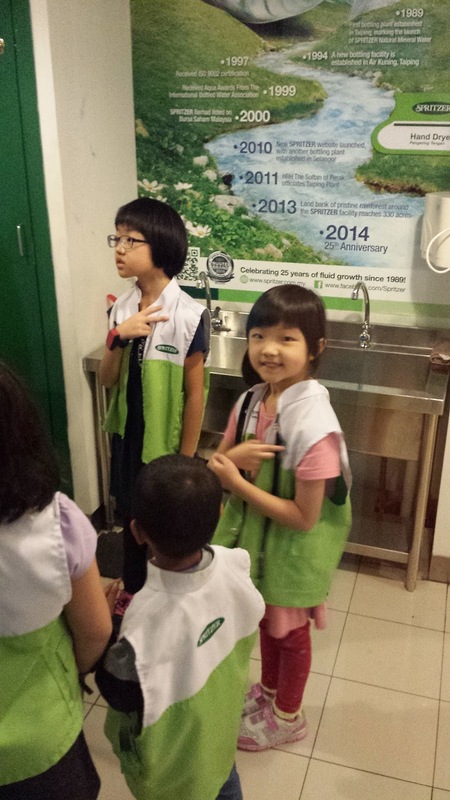 My kids tend to be more brave to try out different job, trying out uniforms and learning to communicate. This place is awesome with so many job to explore that something they can't learn in school. First stop is to become fire fighter. You need to queue for the no according to timing. They are lucky enough to be the early batch around 11am. 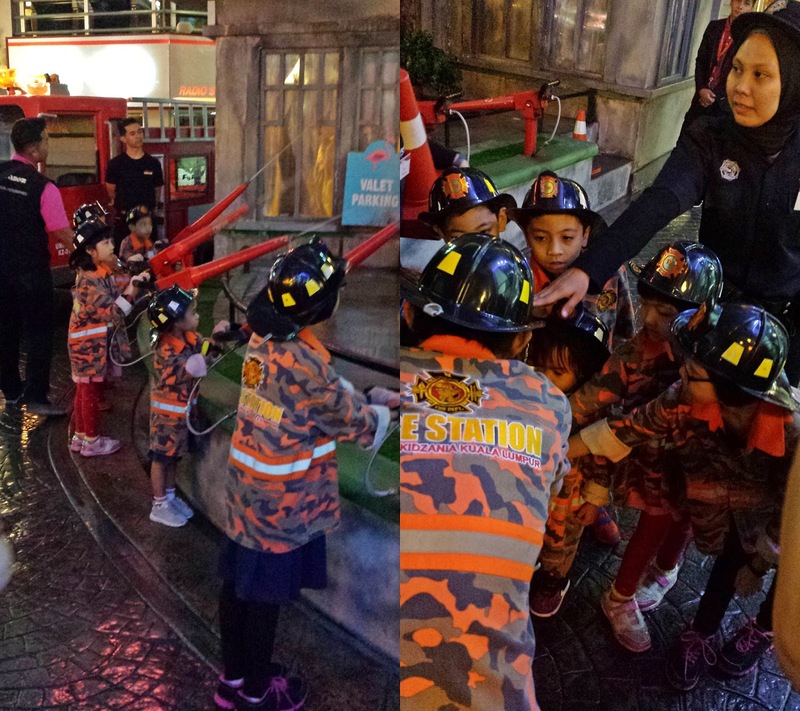 After the short briefing session, they are ready to jump into the fire engine truck. Looking cool on their outfit! Next stop heading to the Z*Mart. 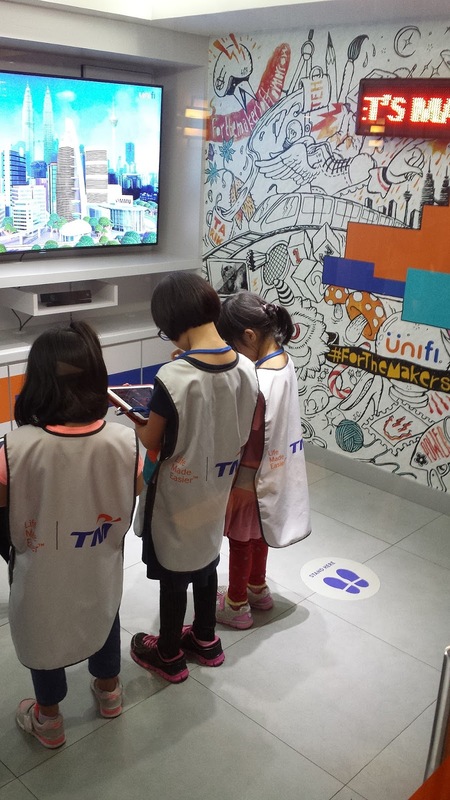 Kids can choose to become worker or customer. 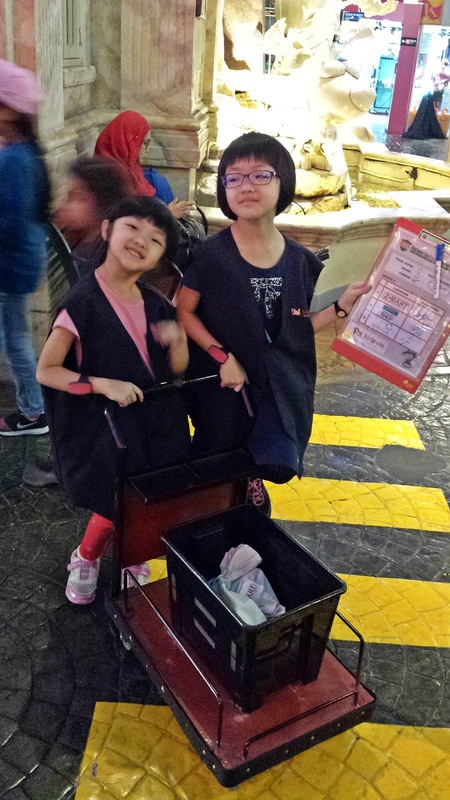 There are indications on each station on their age requirement to perform such establishment, how much kidZos need to be come a customer and kidZos earned as workers. 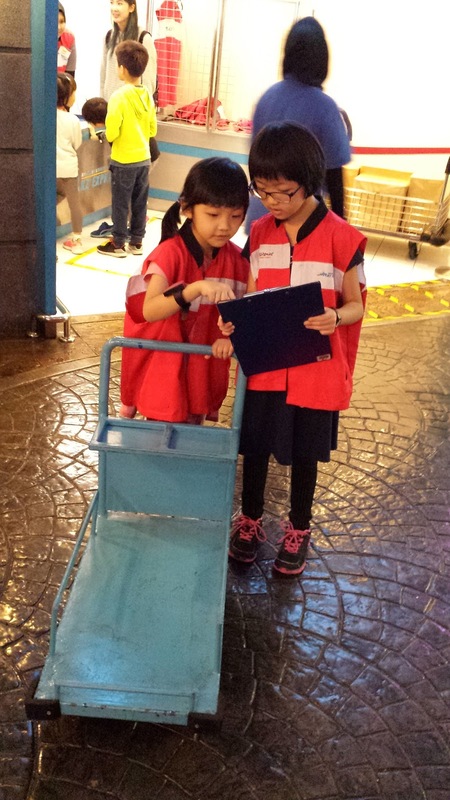 The Z*Mart was their favourite spot as the kids enjoy being a customer browsing through the list of food to purchase and being the cashier scanning the item and make sure the receipt is out for customer. We have to please them as they request to explore upper floor. Going up and down looking for their favourite job to try. Going into Spritzer Bottling Plant where they become the delivery girls. Picking up parcel / sending the spritzer to 3 destination. The friendly staff will explain to the kids what they should say when reaching the desired destination and what they need to do. Only kids are allowed to go inside in each establishment. 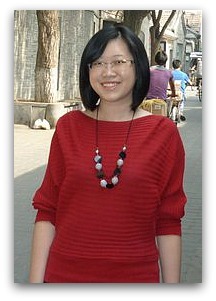 In this way, my kids learn to communicate with strangers and gain their confidence level. 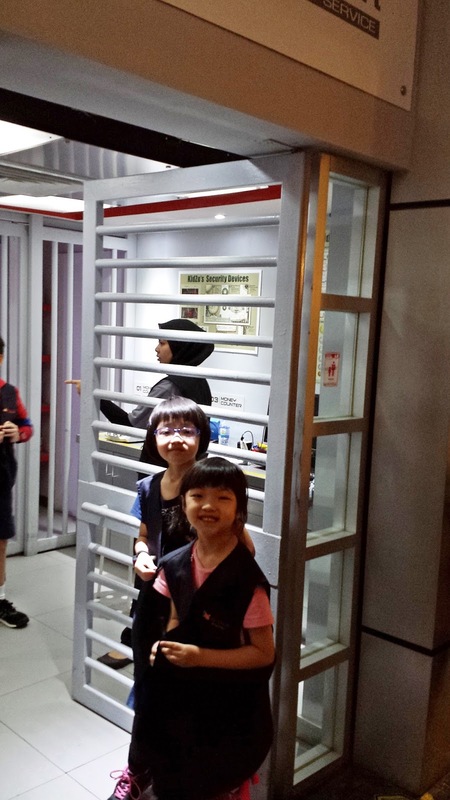 Seems they are in the good mood, they want to try the police station. 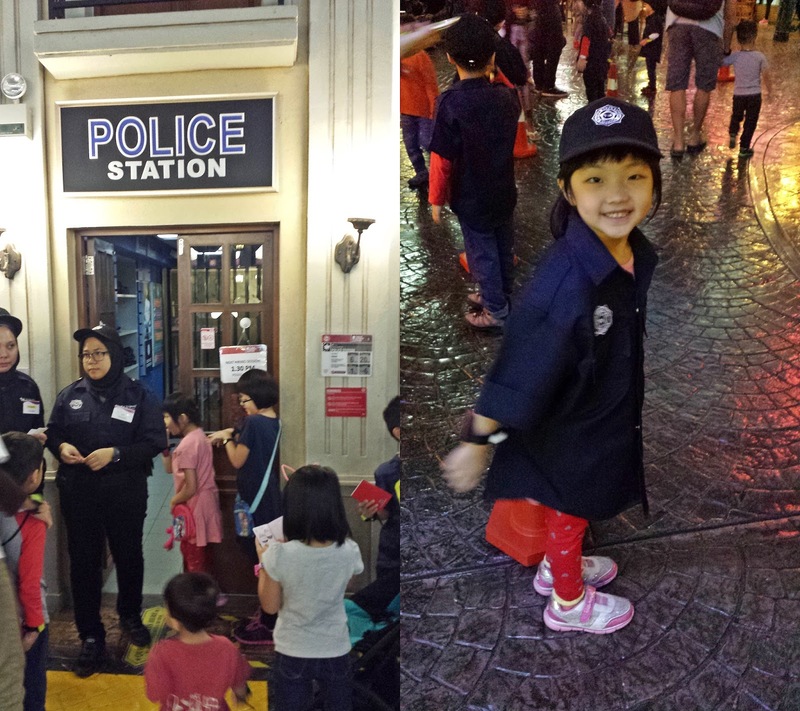 Dressing up with the police attire, they are trained and follow the instructions given on what to do. Next, trying out delivery of parcel at KZ Express Courier. Canon Imaging Studio - This is the best among all. My kids get to hold on the real camera! Quite heavy though. But they enjoy it so much. 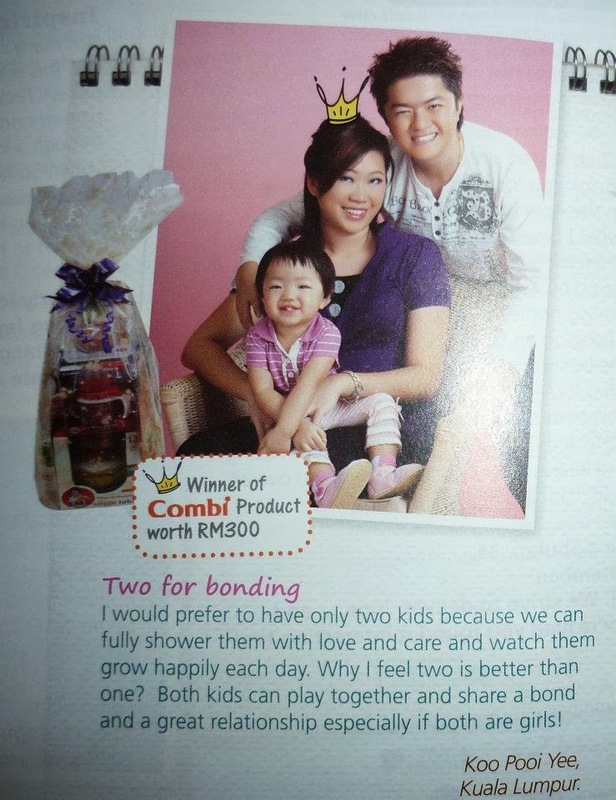 KZ Post News Edition - Spending their time writing news. My eldest girl get the chance to do her own reporting. 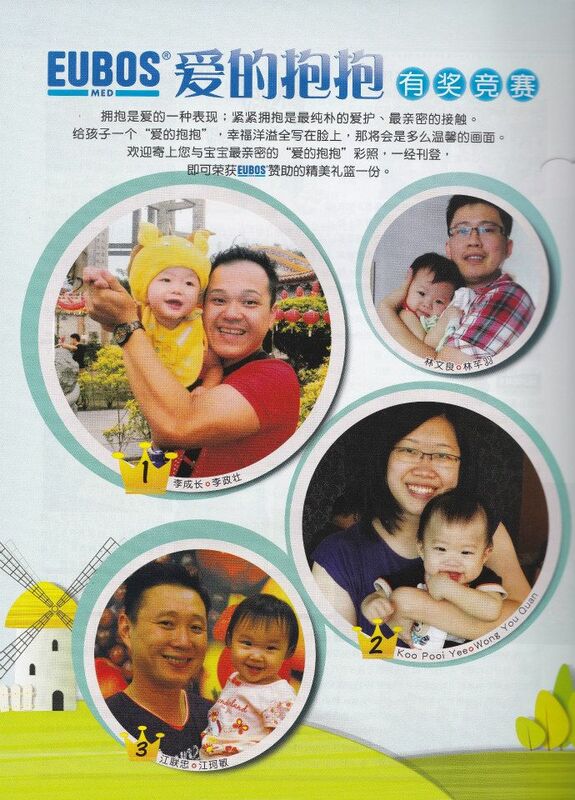 Tourism Malaysia Tourist Information Centre - They get to create their own profile pic in this lovely printout. 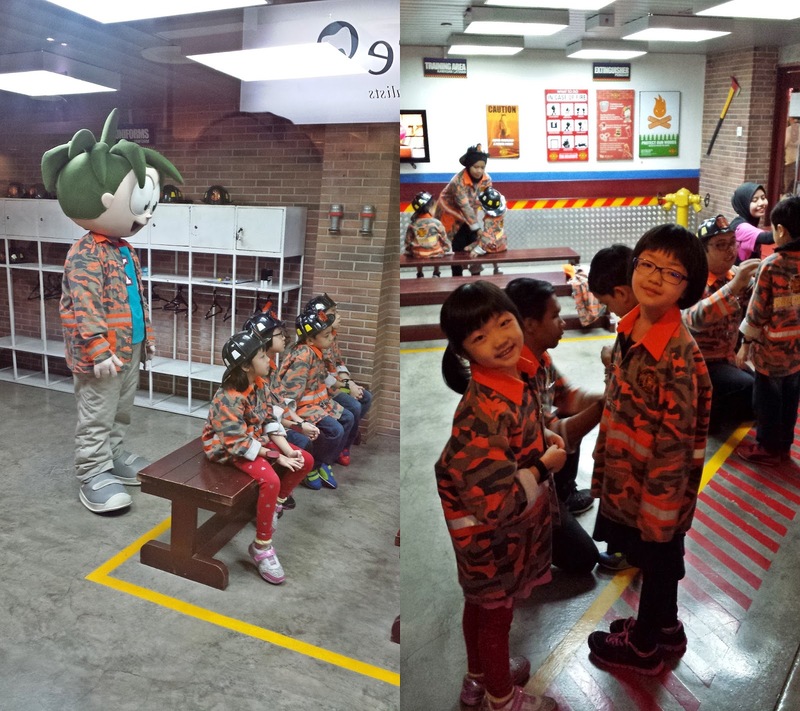 I am glad they enjoy so much at Kidzania with many fun activities. Educational and gain lots of new knowledge too. Mummy is proud seeing them finally willing to put on the uniform and trying out different hands on job. Hope we can try other exciting and challenging establishments in our next visit.